I shared with both photographers that once the iPad Pro 9.7-inch iPad Pro is available (31 March 2016), I will update our Matterport Essential Shopping List-17 items to include the 256 GB version with Wi-Fi + Cellular ($1,029 + tax) instead of the iPad Air 2 128 GB with Wi-Fi+ Cellular. 1. Faster chip means faster scanning of a space. When we switched to the iPad Air 2 from the iPad Air 1, we experienced a huge time savings. Based on the new iPad Pro chip specs, we will likely see time savings between the iPad Pro 9.7-inch and the same size iPad Air 2. 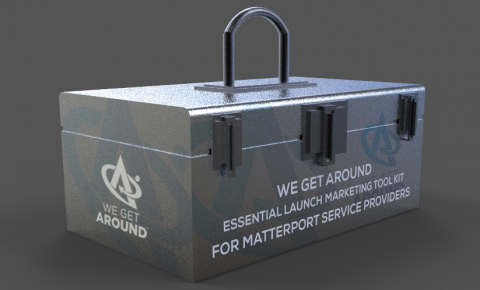 Since the photographers are just starting out, I recommended the We Get Around Essential Launch Marketing Tool Kit for Matterport Service Providers. So, when I revise our Matterport Camera and related gear and accessories shopping list, the investment to get started in Matterport is $8,500 (including the Tool Kit). You say <Faster ship means faster scanning of a Savior>. Does this mean that if you use the iPad Pro, the machine itself will Materport shoot faster than using the iPad Air 2? Or the speed of capture is not uvilichit and increase processing model removed on the tablet? While the camera moves and captures at the same speed – independent of which iPad – the processing time on the iPad will faster. This means you will know - faster - that the scan was successful (so you can moved the camera). When we upgraded to the iPad Air 2 from the iPad 1, this made a huge difference in "how long" to scan a space (particularly a big space). I imagine that using the iPad Pro 9.7 instead of an iPad Air 2 will also make a huge difference in time-savings. If I did not answer your question, please ask me in a different way. I got the Ipad pro 9.7 256 GB earlier today. Came home and did a few test scans on my house. My average transfer it seems has significantly increased. From close to 10 - 15 seconds (sometimes longer) with the Ipad Air 1 to about 2 to 3 seconds with the new Pro 9.7. This should be a huge decrease in time spent on larger jobs. The alignment process hasn't seemed to improve though. Thanks for sharing. That's a huge time savings. Should the alignment process also happen faster or is that just wishful thinking? Yes. Matterport does low level stitching on the iPad: a drive run to make sure that individual scans "work" and that they can "attach" themselves to the next scan. The high-level takes place in the Matterport cloud. 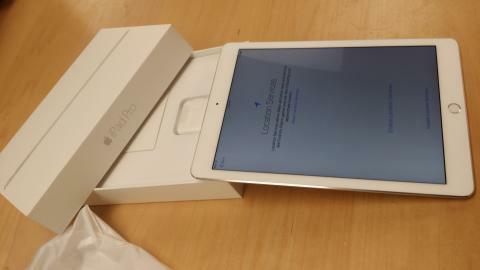 What about the ipad pro 12.9"? I'm sure the 9.7 is more convenient to carry around and costs less. But the larger screen size could be easier to mark features. What do you think? Get the 9.7 iPad Pro. While the larger iPad Pro would be great for marketing features - and more importantly for demos - the large size will take a toll on you when you are scanning for hours. Thank you Dan! My wife and I drove over to the Seattle side of the Cascade Mountains to an Apple Store today to pick out a newer iPad (only have an ancient iPad 2 now). Matt, the rep who helped us out, also suggested we NOT get the bigger iPad Pro, but rather recommended exactly the same Pro with full features as you had (above) for use with the Matterport camera and app (yes, he was somewhat familiar with MP). He also suggested that if I wasn't greedy for the bigger screen, the 9.7 Pro was actually a more powerful machine. It made it very easy to decide to confidently flow with the the model you AND Matt suggested.